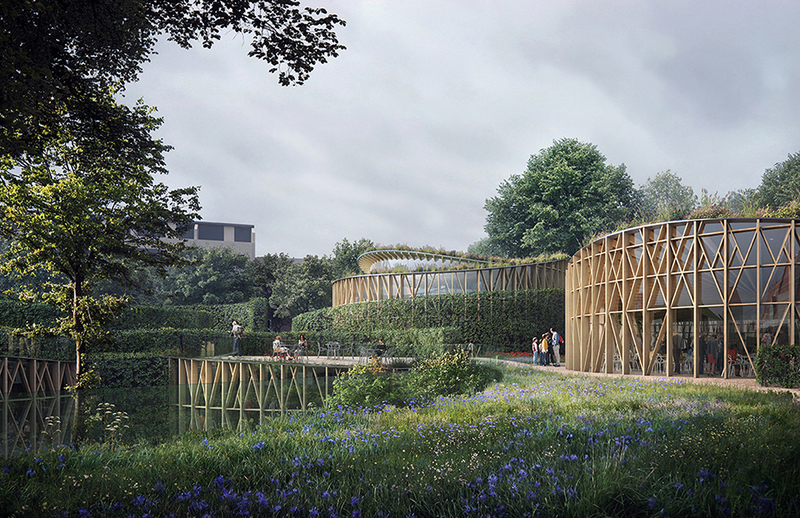 The projects is to create a new building for the H.C. Andersen museum, the garden and Tinderbox cultural center in the heart of the city where Andersen was born. 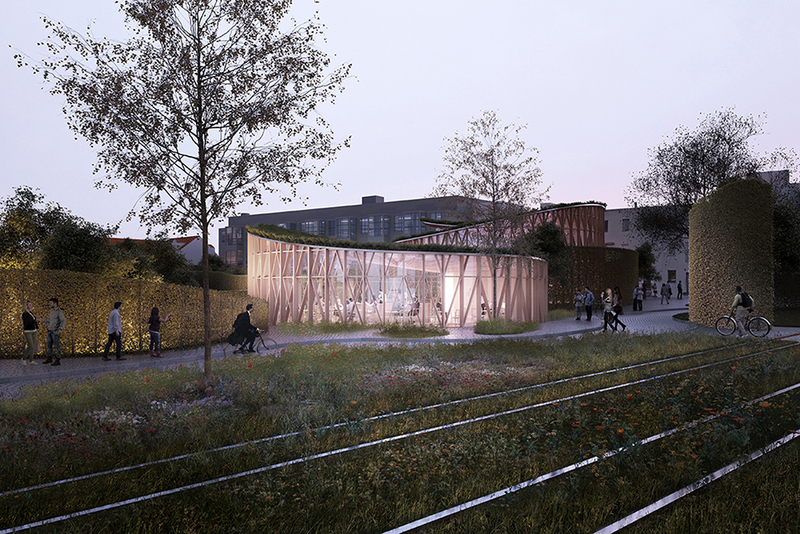 The site is located in between the residential area with small traditional wooden houses from the middle age and the newly developed urban area in Odense. There are profound messages in HC Andersen’s writing that reflects the author’s life and his life time journey. Andersen’s work projects the duality of the opposite that surrounds us; real and imaginary, nature and manmade, human and animal, light and dark…Our architectural design is to reflect this essence of his work in architectural and landscape form. The museum spaces are composed by a series of circular forms that are tangent to each other like a chain. 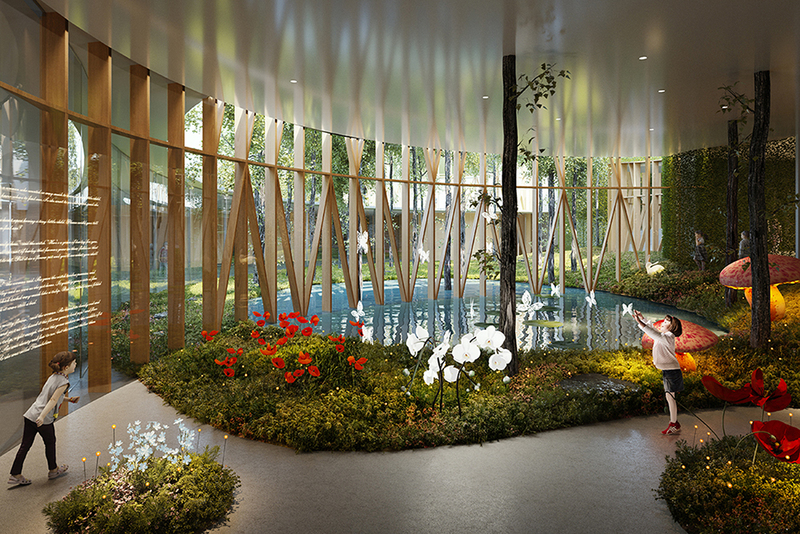 The continuous curve linear green wall expands and traces the underground space structure and defines the garden. It meanders and weaves in and out, above and under the ground throughout the site. 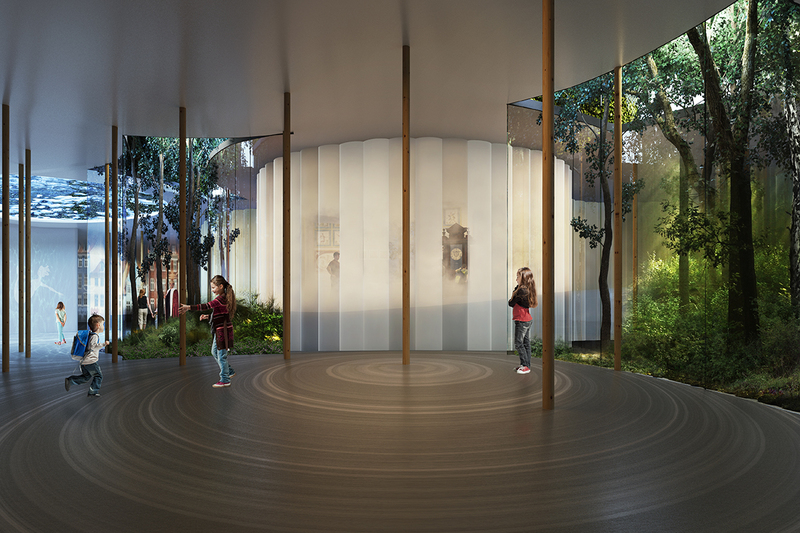 In the sequence of intertwined spaces visitors will find themselves in between outside and inside as the green wall appears and disappears. The exhibition spaces are planned underground. 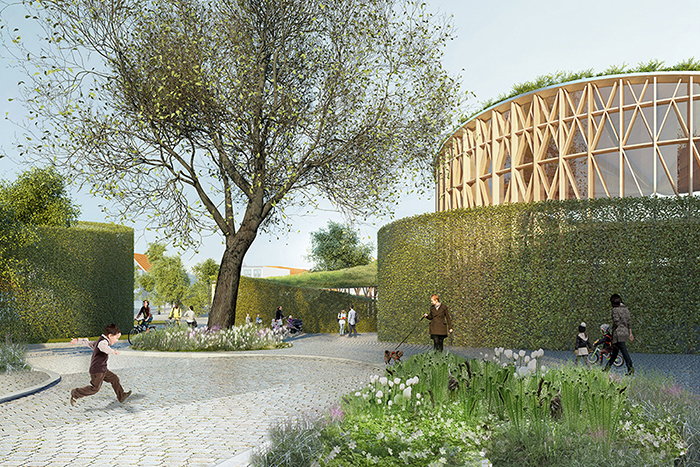 The garden above ground is composed with curve linear hedge that traces the exhibition spaces belowground. Here the architectural built form is diminished and visitors would be lead into the “maze” like space created by hedges. 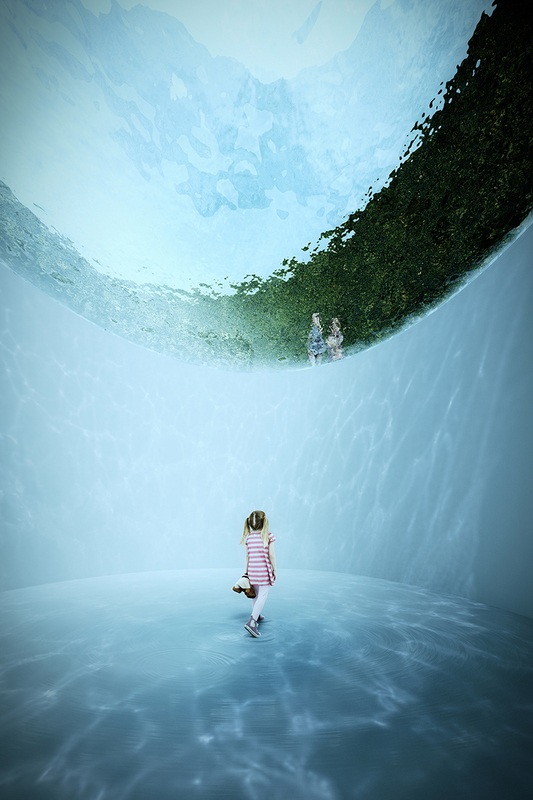 Underground world is connected to the garden above through series of sunken garden that appears like a “hole” on the ground, “portal” from fairytale world to the world outside. 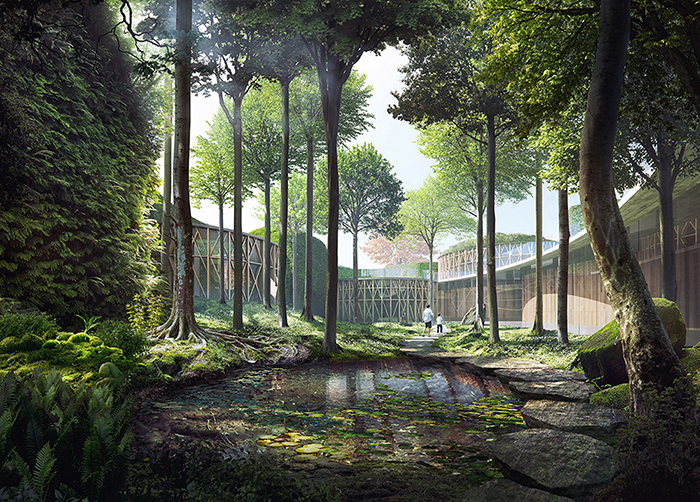 The Museum would play a core role in new Urban-scape of the city. The plan is to close off one of the arterial roads and reconnect two parts of the city; new and old, which are currently separated. One part of the city where the birth house of the writer is, remains the medieval townscape with small and meandering streets, the opposite of modern urban development with wide and straight fast lanes.